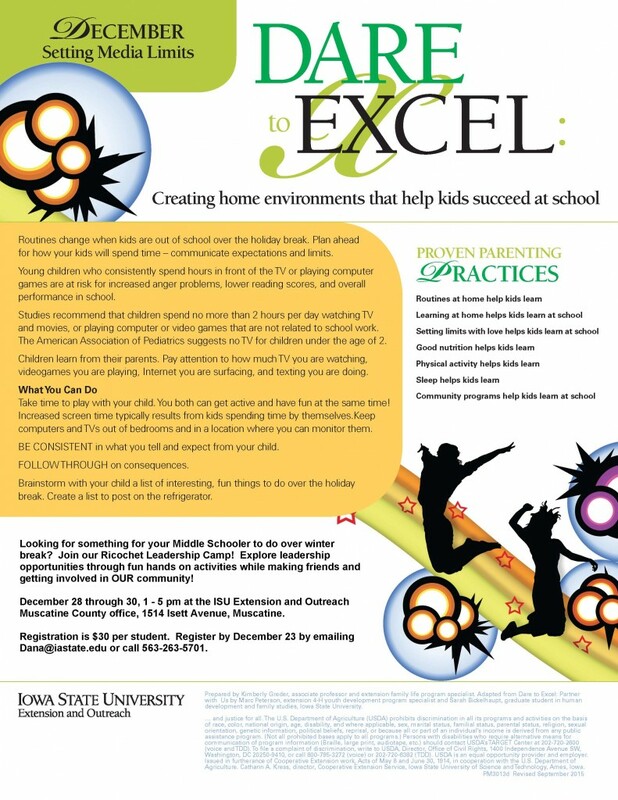 Dare to Excel December newsletter: Find ways to set media limits and help your child improve overall performance in school. Includes tips to manage media time in your home. 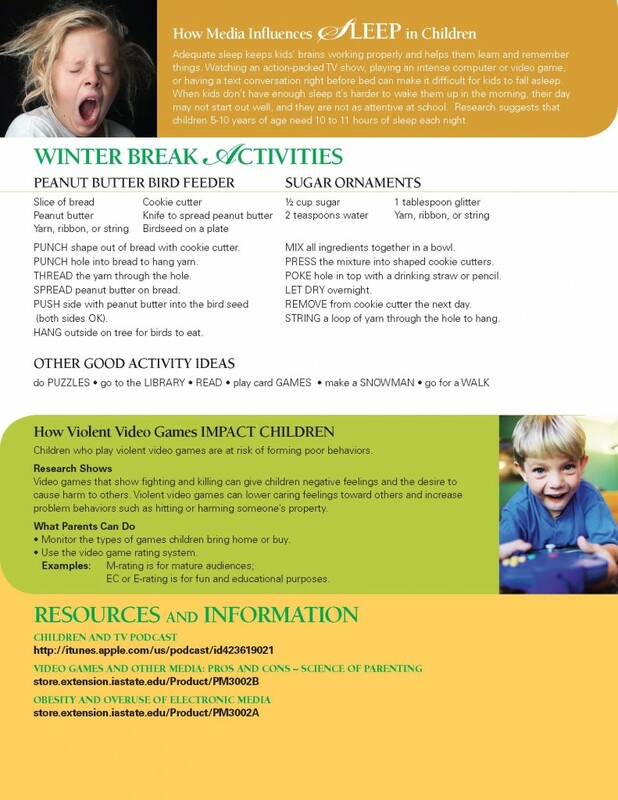 From Iowa State University Extension and Outreach.